A blend resulting from the combination of the best natural and washed coffees from Central America. A blend of coffee with hints of chocolate, vanilla and toasted almonds, with a flavour of fruits and flowers. Centrale del Caffè masterly measures out the right quantities of coffee in order to obtain the perfect coffee blend and the result is a coffee with a sweet and balanced taste and an intense and rich aroma. 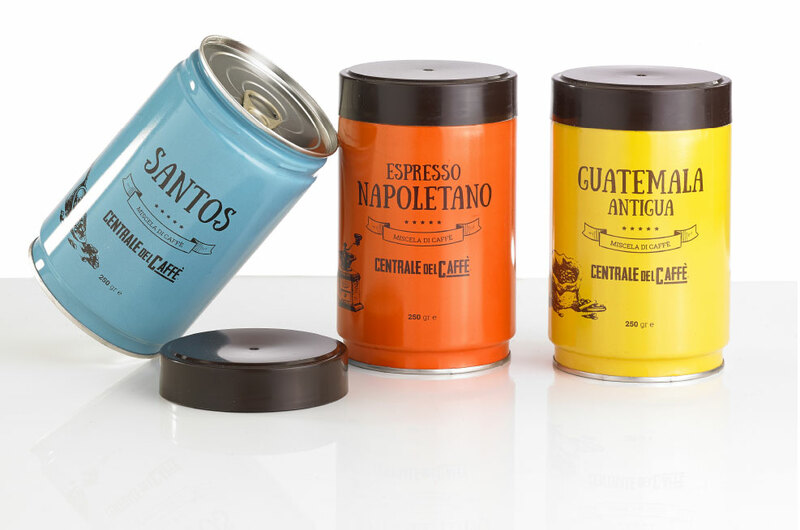 Centrale del Caffè has created the perfect blend of Espresso Napoletano, with a rich and balanced taste. A special aroma with hints of spicy chocolate for an original Neapolitan espresso with a creamy and surrounding flavour. Cultivated in the areas of Antigua, over 1300 meters in Guatemala. A wonderful coffee from Guatemala with spicy essences, the chocolate aroma stands out as aftertaste at the end. High but well-balanced acidity, it stands out for its rich body and a light aroma of fresh tobacco.